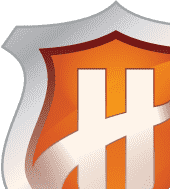 CLIFTON, N.J.– October 31, 2018 – Comodo Cybersecurity, a global leader in threat intelligence and malware cyber defense, today announced the release of Comodo Dome Shield Platinum. The cloud-delivered, DNS-based Security-as-a-Service (SaaS) solution allows enterprises, medium-sized and small businesses, MSPs and channel partners to protect users’ digital presence by blocking access to harmful websites that other measures do not recognize as dangerous. Comodo Dome Shield implements a highly configurable web filter, to check the content and reputation of sites per company IT policy based on both safety and appropriateness. 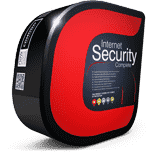 The new Platinum version extends the current Comodo Dome Shield, deployed by 2.5 million users to regulate and secure web access, blocking 1.2 million attack attempts every day. The product today protects against a wide range of threats and attacks, such as phishing, bots and botnets, command-and-control servers, spyware and spam. The announced Comodo Dome Shield Platinum additionally lets businesses to protect all Internet-connected devices, with deployment across any size infrastructure, from a global enterprise to a small business, deploying in under two minutes, both in the office or on the go. Comodo Dome Shield Platinum accommodates configurations based on internal IP addresses, subnet, IP address block and site-based web filtering, supports advanced threat policies, and provides IP-based visibility and monitoring. Moreover, the Comodo solution is capable of bypassing internal domain resolution and corporate DNS servers, with the option of encrypting all DNS traffic. Web access control and filtering. Block websites by category (86 pre-defined) and by creating blacklists and whitelists per user, by networks, across company sites and locations, for mobile devices and roaming laptops. Gain visibility into every website visit occurring on your network. 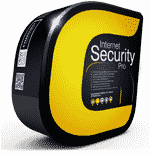 Protection against advanced web-based threats. 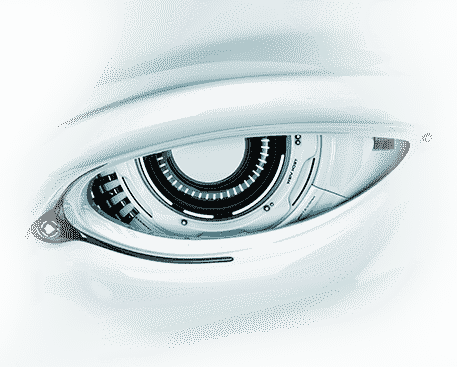 Leverage Comodo Threat Intelligence, which protects 600,000 businesses and 85 million endpoints worldwide. Encrypted DNS traffic. Stop prying eyes from your observing DNS traffic with network-wide DNScrypt encryption. Off-network protection. Secure users, even on the road, with endpoint agents for roaming laptops, and via mobile apps for iOS and Android. Secure browsing. Restrict web browsing based on site category and security policies. Faster Internet with Anycast DNS. Comodo Dome Shield offers organizations faster Internet access by resolving domain names with Comodo Anycast DNS, located near the main hubs of Internet. Multi-office protection. Secure and control all your sites from a single pane of glass. MSPs also benefit from the low total cost of ownership afforded by Comodo Dome Shield and can attract new business by bringing security-related services to customers. Comodo Dome Shield DNS filtering not only delivers malware protection to MSP customers, it provides an opportunity to expand product portfolios at unbeatable margins. That's why more than 10,000 MSPs use Comodo Dome DNS filtering for web access controls and protection against web-borne threats to customers of all sizes. Comodo Dome Shield is a DNS based security SaaS solution that you can integrate within seconds and start securing your network against malicious domains. Dome Shield lets you create location and agent-based security rules for blocking malware, phishing, botnet, fraud sites and enforce company policies using 86 different URL Categories covering more than 15 million domains. Dome Shield helps you to get full visibility of everything happening on your Dome Shield connected perimeter. In a world where preventing all cyberattacks is impossible, Comodo Cybersecurity delivers innovative cybersecurity solutions that protect enterprise and SMB IT, across the LAN, web and cloud. Comodo enables customers to protect their systems and data against even military-grade threats, including zero-day attacks. Comodo Cybersecurity has experts and analysts in 193 countries, protects 87 million endpoints and serves 200,000 customers globally. Based in Clifton, New Jersey, the company has a 20-year history of protecting the most sensitive data for both businesses and consumers worldwide. For more information, visit comodo.com or our blog. You can also follow us on Twitter (@ComodoDesktop) and LinkedIn.